About Club Dine In! | Club Dine In! At Club Dine In!, we believe eating sustainably and being physically active is not only a lifestyle choice but essential for a happy, healthy life. Our lifestyle choices are more responsible for our health than our genes are to blame for our ailments (for the most part). Club Dine In! is a lifestyle. Food. Proper eating habits can prevent, ease, and cure our health issues and put us back on the path to well-being. Friends. Live social relationships increases our well-being and happiness. Fitness. Being physically active is an important element to overall well-being. Club Dine In! is open to all- singles, couples, parents, and grandparents. There is something for everyone. Learning about eating and living well does not have to be boring, nor does it have to be stereotypical! 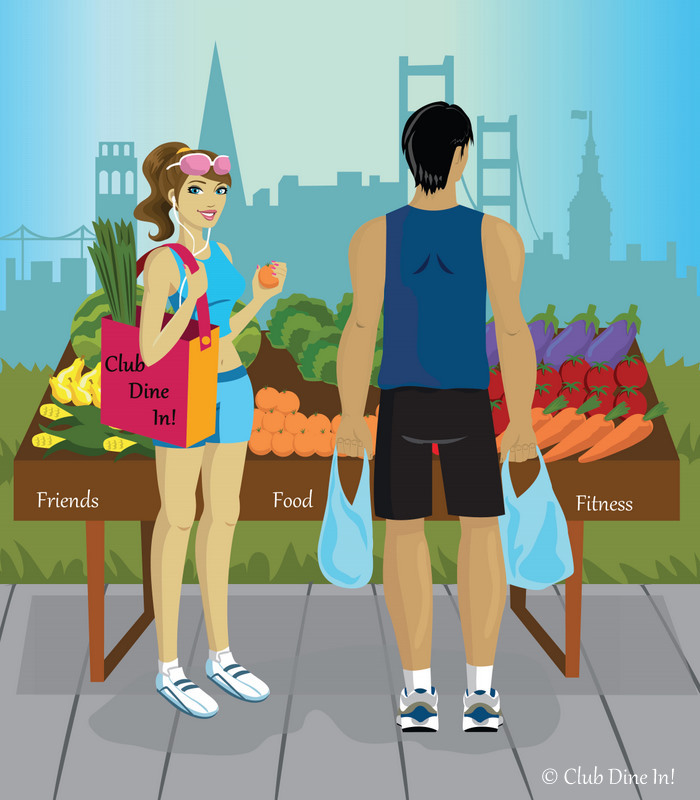 Club Dine In!’s blogsite offers tips on healthy living and sheds light on current food and fitness trends and environmental health issues. Becoming a member of Club Dine In! is free and easy. All you have to do is subscribe to this blog and/or join us on Facebook for upcoming events and the latest news. Follow me on Twitter for breaking foodie/fitness news and events. You will receive special invites to exclusive lifestyle events, health-minded weekly local’s guide to the San Francisco Bay Area, and special perks at local businesses. Why bother with buying groceries, cooking, and cleaning? Step out of the house and you find an abundance of fast food chains, diners, deli food, pre-packaged food, take-out places, and the likes of Delarosa. Cooking for yourself gives you freedom and control. Freedom to choose exactly what you want to eat, the way you want it. When cooking for yourself, you have ultimate control over each ingredient and can maintain portion control. Choosing high quality ingredients will make any dish taste good without the use of excess butter/oil, sweeteners, sodium, condiments, and artificial flavorings. Thus, it is much healthier for you to cook your own meals. With the right ingredients, cooking at home will put you on the track of gaining your health back. In most restaurants, you can never be too sure of health sanitation or the source of the produce, meats, spices, sauces, etc. Even when you think you are eating a healthy burrito or salad at a restaurant, you may just end up consuming more calories, salt, fats, sugars with processed, manufactured ingredients and preservatives. Therefore, when you make your own food with simple, whole food ingredients, you avoid eating a lot of things that are not real foods. Also, it’s just faster to dine in. Investing some time in the beginning to well stock your kitchen, you can whip a quick, nourishing meal in no time. It would take you longer to get to the restaurant, wait in line, order, wait for your food, pay, and then go back home. Another bonus, you save a lot of money by dining in. You can eat leftovers the next day or use the same ingredients to make something different. 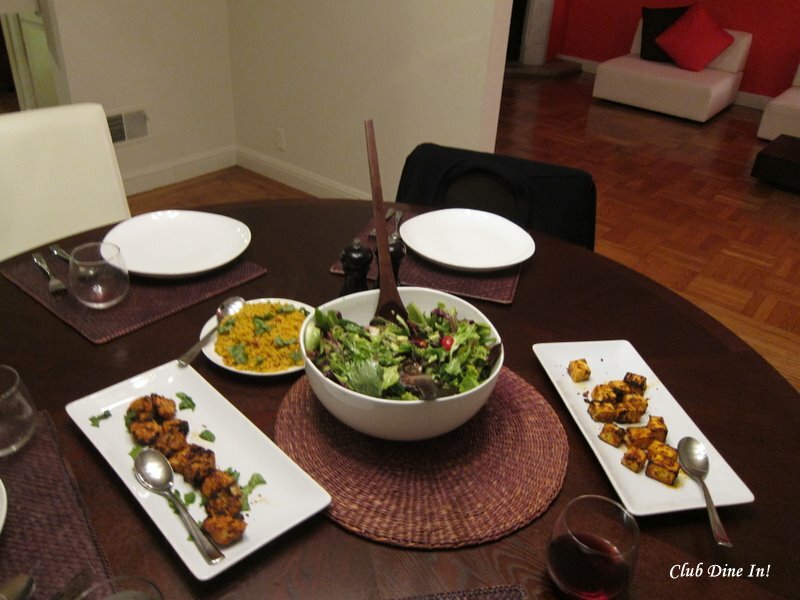 After cooking at home for some time, dining out becomes more pleasurable and special. With all of the money saved by dining in, you can really splurge at a nice restaurant. Eating in restaurants can be an inspiration for you to cook something new at home or a chance to enjoy food that you wouldn’t ever consider making yourself. Also, appreciation for the chefs and staff increases. Considering that dining in is healthier,* you will not feel guilty about eating creme/butter based foods or dessert at restaurants. Therefore, save up your money and indulgence calories by cooking more often and allow yourself to dine out on occasion. we eat in because it tastes better, but the savings and knowledge of where things come from certainly add incentive. we eat out maybe twice a month. It is important to have a balance! Eating out gives you an opportunity to relax, enjoy your company fully, and have a good time. It also gives you chance to taste different flavors and ingredients, which can lead to more creative cooking at home. I have been tracking how much we spend on food for the last few months, and it’s incredible how much we save by shopping at the farmer’s market. Hi there! We’ve nominated you for the Liebster Award! We were nominated for it by another blogger and want to share the love! If you are interested in the award and would like to accept and or know more click this link: https://butterbeanskitchen.wordpress.com/2013/04/08/weve-been-chosen-liebster-blog-award/ Keep up the great work!